Soufrière Hills volcano is a complex stratovolcano that forms the northern half of the small Island of Montserrat in the British Lesser Antilles. After 350 years of quiet, it came back into life in 1995 and started to build a new lava dome. The eruption alternated between less or more intense phases including rapid dome growth with associated powerful vulcanian explosions and large pyroclastic flows from dome collapse. The eruption, in particular the effects of pyroclastic flows and lahars caused by heavy rains have destroyed a large part of the island, including the capital Plymouth, and the population has been relocated to the northern part of the island and has been fighting, with the help of the UK government, to maintain life on the island. 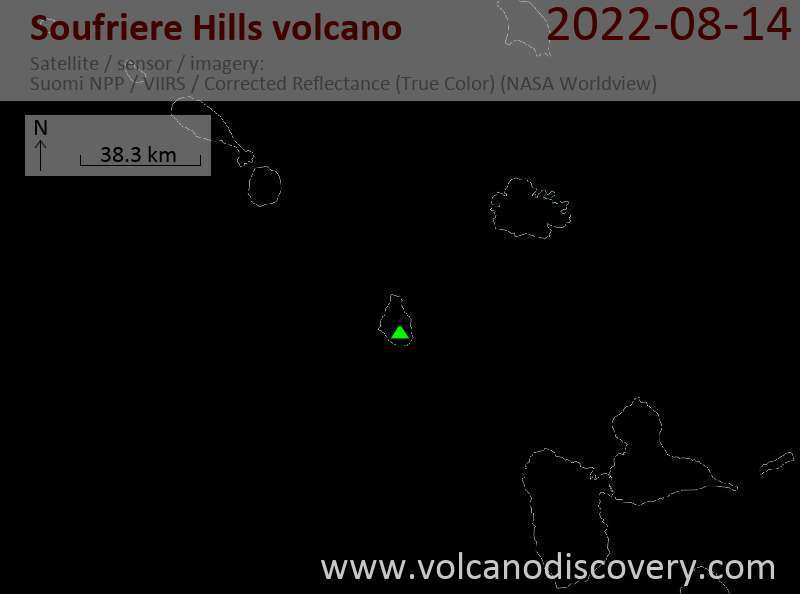 One of the world's most modern volcano observatories, the MVO, has been installed on the island and while largely unknown prior to 1995, Soufrière Hills volcano now counts as one of the best monitored active volcanoes world-wide. Explosive. Construction of lava domes.